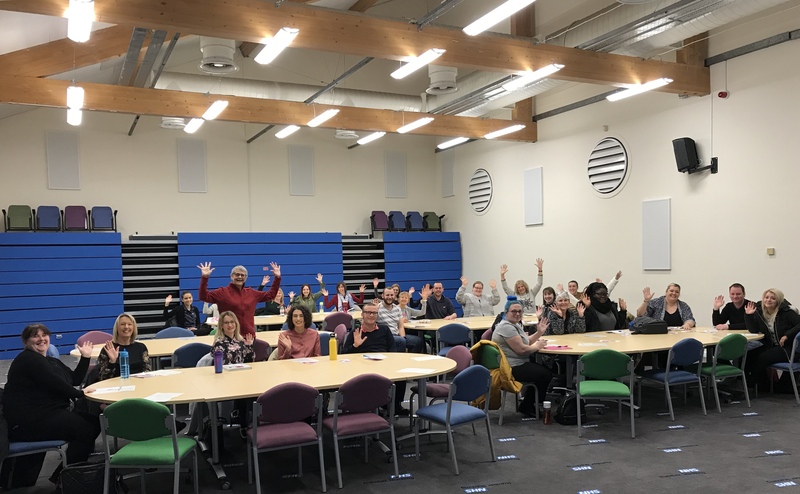 My Monthly Trundle to see New Staff at Humber…….. | Which me am I today? 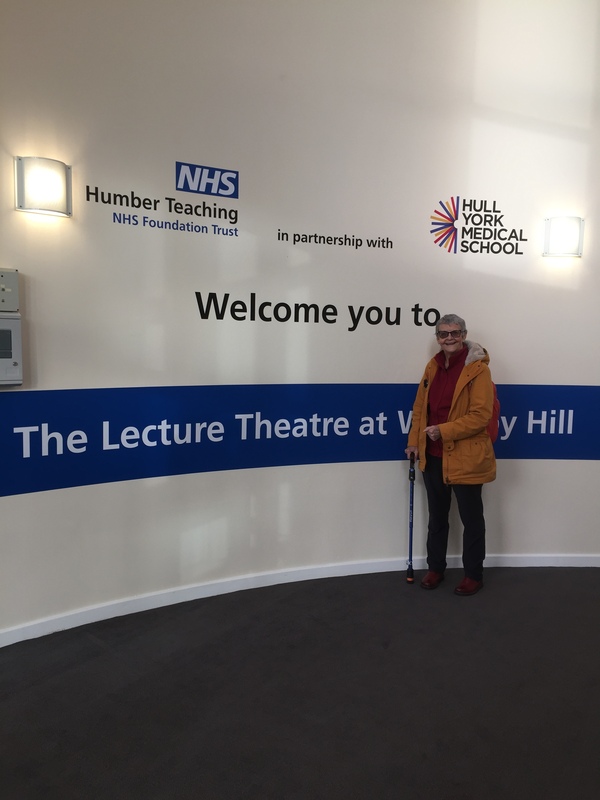 My Monthly Trundle to see New Staff at Humber…….. I havn’t quite got back into a routine as my calendar is still quiet as the world wakes from Christmas. So it’s always a welcome when my monthly trip to Humber comes round to talk to new staff on their first day. Some weeks I can fill my calendar many times over……take Dementia Awareness week in May….well I could have already filled that week 10 times over as it’s been full since last year. Ooooo gone right off piste havn’t I…..😳……..anyway back to yesterday……..
After the lovely cold frosty snowy week just gone, the weather has changed it’s mind again and we’re back to milder weather. Yesterday was rainy and grey…..but the smiley face of Sarah turned up at my house at the arranged time. We arrived at Trust Headquarters and Sarah made me a cuppa while she then got all her bits together. We trundled over to the lecture theatre, not knowing how many nervous first day faces will be waiting for us. The Chief Exec, Michelle Moran, speaks first and then it’s our turn to follow her in………. We went in and this month they were a very smiley friendly bunch. Some months they’re all so nervous there’s just silence from start to finish – always very strange, but today I could tell they were a nice bunch. Sarah went through her slides saying how good we were in this region but needed still to do so much more. 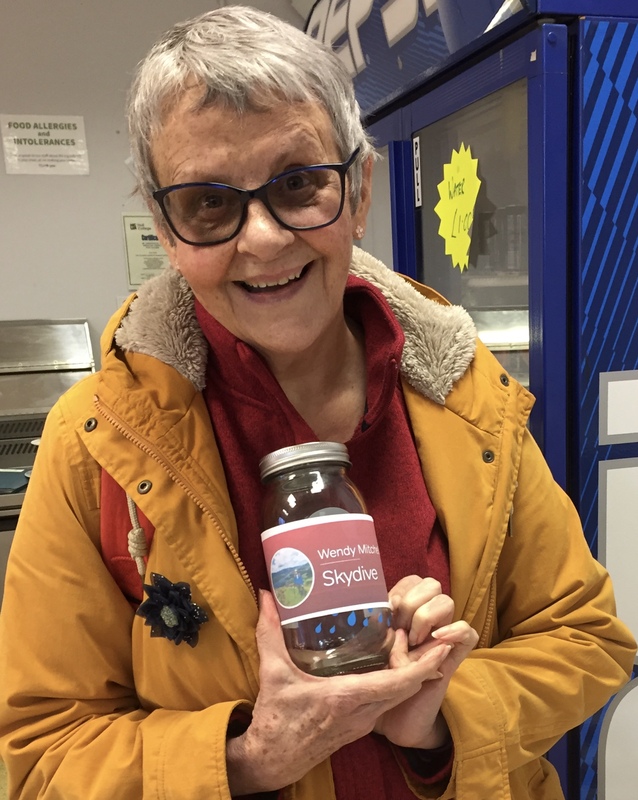 There’s so many projects happening at the moment in Humber for lots of conditions as well as dementia which is always nice to hear. And then go on to talk about the impact research had on my life post diagnosis. They were a lovely bunch and were very generous in their applause. One person said how she’d heard me on the radio last year 😳 I then took the opportunity to ask for a piccie for my blog since they were so friendly and they were all up for it. 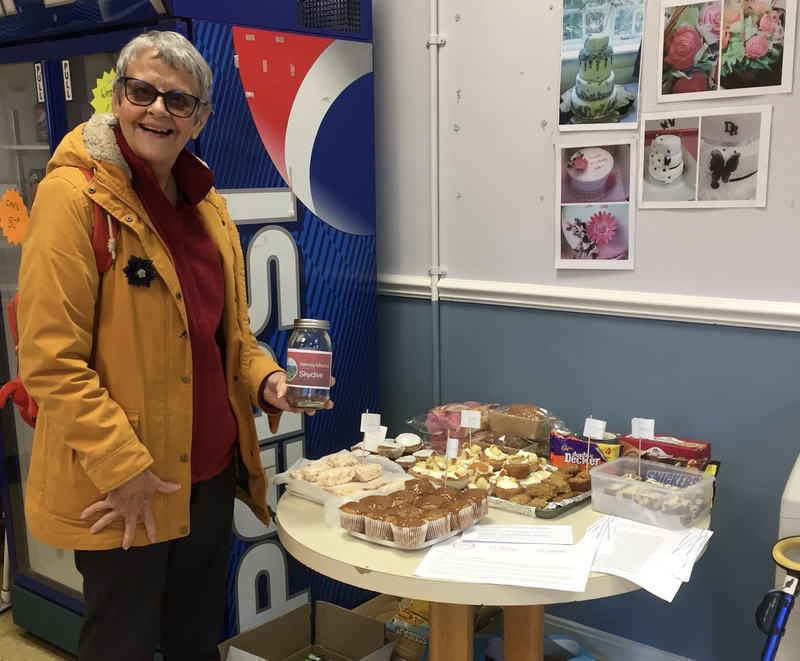 All finished, Sarah then surprised me by taking me a different way back via the café…….they’d only been baking cakes at the weekend to sell to raise money for my Skydive…..
What a lovely start to a Monday. 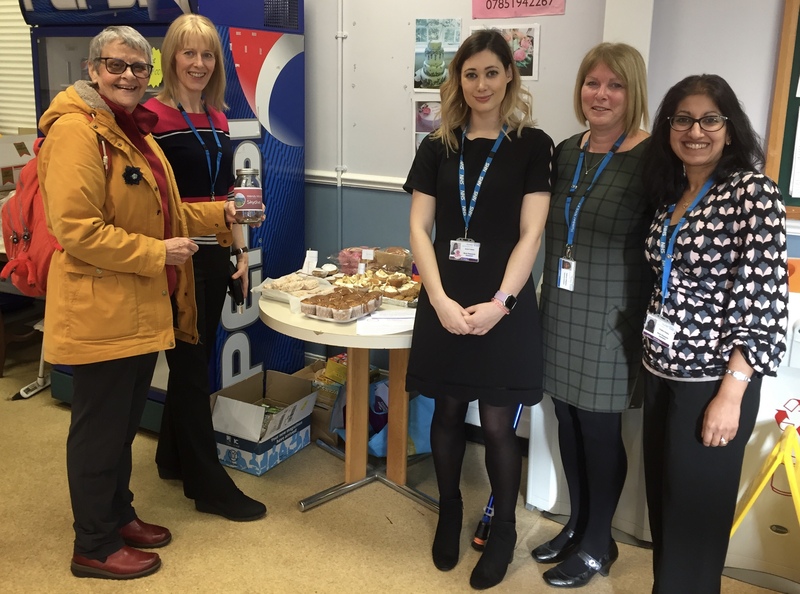 Smiley new starters in Humber Trust and a cake sale to raise money for my Skydive……I’m soooooo lucky……. You look amazing. Thanks for sharing your day with us —I am sure it was well received and that the participants were glad they were a part of it.